It would quite wrong to look at the history of Crich without reference to the Lords of the Manor – the Hurt family. It is thanks to them that we have Crich Stand, Fritchley School, a church organ and much more besides. Their family home was the other side of the valley to Crich at Alderwasley Hall. Alderwasley Hall was originally owned by John Lowe (1616–1677) whose family were Royalists in the Civil war. This put them against another local influential family, the Gells of Wirksworth, who had backed Cromwell. When John Lowe died in 1677 the estate passed to his son, also called John (1653-1690), who died a bachelor. This meant that estate then passed onto bachelor John’s sister, Elizabeth, who had married Nicholas Hurt. And so Alderwasley Hall became home to the Hurt family from 1690. The Hurts became extremely wealthy marrying into some of the best known local families – including the Strutts, Gells,Arkwrights and Harpurs. A fuller history of the Hurt family can be found in Derek Wain’s excellent book called “The Hurts of Derbyshire” (now sadly out of print). Of all the Hurts, Francis Hurt (1781–1854) who was Lord of the Manor from 1801 until 1854, was perhaps the most influential. During his time the Industrial Revolution was racing ahead with railway, canal and road building progressing at a rapid rate whilst local mills and factories were springing up all around him. He benefitted from this expansion, not least by marrying Elizabeth Arkwright, the grand-daughter of Sir Richard Arkwright; his father-in-law was reputed to be the richest commoner in the whole country. Francis Hurt Esq. moved that that with the view of checking bastardy, women bringing this species of burden upon parishes, should be employed at the gaol. SEASONAL BENEVOLENCE – The Misses Hurt of Alderwasley, with their accustomed benevolence, have distributed, during the last and preceding week, large quantities of coal. meat, bread and clothing, to the poor of Alderwasley, Ashley Hay, Wirksworth, Crich, Crich Carr, Fritchley and the surrounding neighbourhood, which, at this inclement season of the year, has filled the hearts of the poor people with thankfulness and gratitude for this additional act of liberality. family could enjoy views across the Amber and Derwent Valleys as well as towards Nottingham and the Trent. By 1843 the tower was in ruins so, in 1851, Francis Hurt (1801–1854) provided £210 to rebuild the tower. 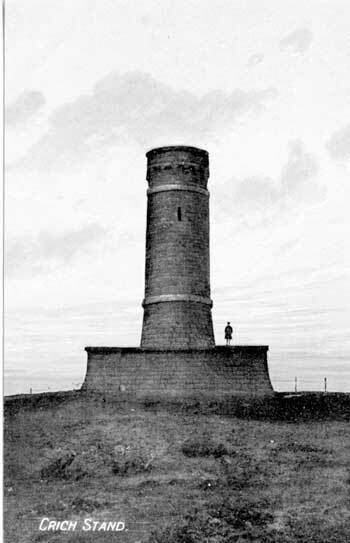 This took on the more familiar form of a round tower within which a spiral stairway provided access to a viewing platform and a plaque recording the height of the tower as 955 ft. above sea level. This 1851 tower was struck by lightning and fell into disrepair. 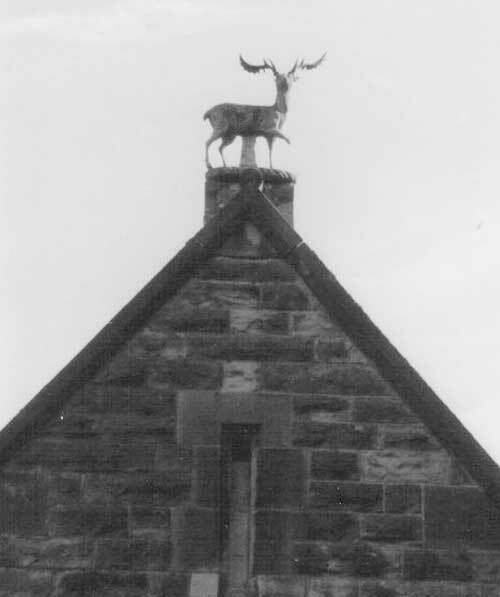 In the early 1920s Major F.C.A Hurt granted the site to War Memorial Committee of the Sherwood Foresters when the current Memorial Tower to the Sherwood Foresters was built. The Hurt family and Crich Stand are inextricably linked. Francis (1801–1854) knew that his unmarried daughters, Emma, Elizabeth, Selina and Frances would have to leave Alderwasley Hall after his death because it would needed by his heir, and next Lord of the Manor. He thought he would provide for them when this happened. 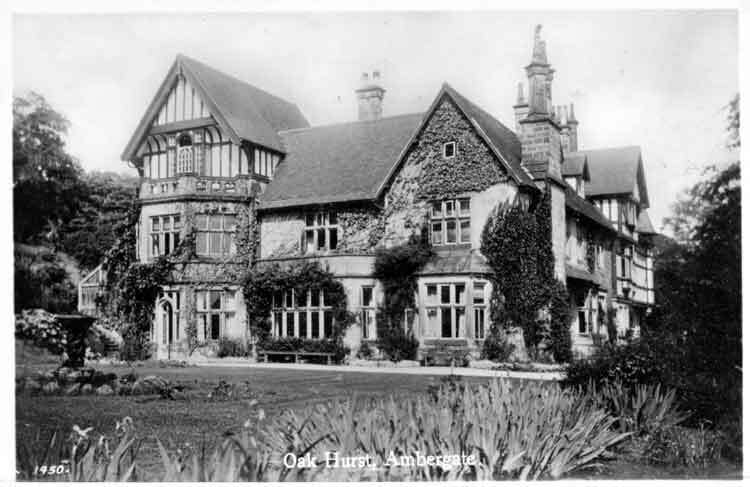 In 1848 he had built for them a rather grand house called “Oakhurst”. It was sited behind the Iron Forge he had at Ambergate. 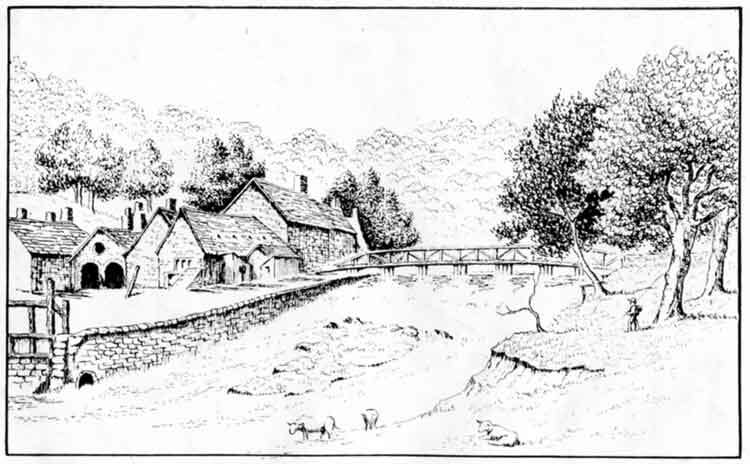 An early sketch of the Iron Forge at Ambergate c1847. Although this mansion had been built for them , Emma Elizabeth, Selina and Frances, were having none of it and refused to move there. As a result their brother settled a generous amount on each of the four sisters to guarantee their “independence”. When Francis died in 1854, his son, also Francis (1803–1861), became the new Lord of The Manor. 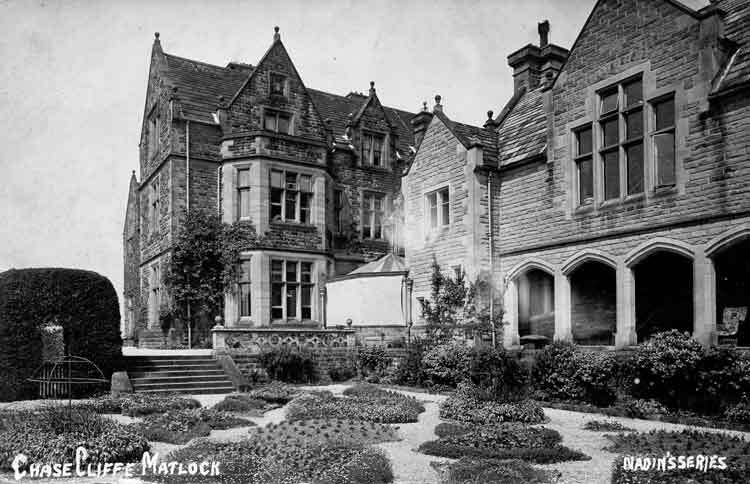 Sisters, Emma, Elizabeth and Selina moved out of Alderwasley Hall and into Rock House at Cromford which was owned by their mother’s family the Arkwrights. Their youngest sister, Frances, decided she did not want to live with them and went her own way. Their brother, Francis, was Lord of the Manor until his death in 1861. His two eldest sons, Francis and Henry, both died before him, (Henry being killed in the Crimean War); so it was that his third eldest son Albert Frederic Hurt became the new Lord of the Manor. It was Albert Frederic Hurt and his three aunts Emma, Elizabeth and Selina who were to become the most influential benefactors in the parish of Crich. Albert Frederic Hurt left his life in the navy to take up his duties as Lord of the Manor in 1861. 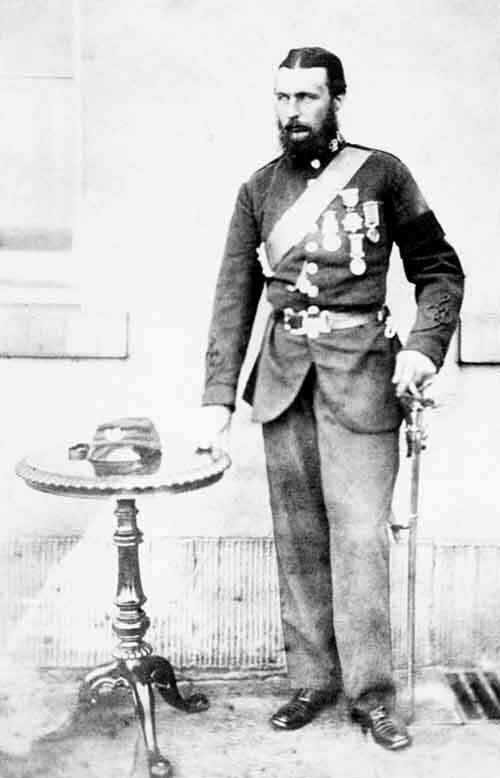 He joined the Derbyshire Regiment, which had a Company at Wirksworth, with an honorary title of Lieutenant Colonel. In 1881 the Derbyshire and Nottinghamshire Regiments amalgamated to become the Sherwood Foresters. It seems fitting that “new” Crich Stand which replaced the Hurt Crich Stand should be dedicated to the Sherwood Foresters. In his role on the School Managers he was involved in decisions to build Crich Carr School and the extension to Crich Parochial School (now known as Crich C of E Infant School). Sisters Emma, Elizabeth and Selina Hurt lived together at Rock House in Cromford. 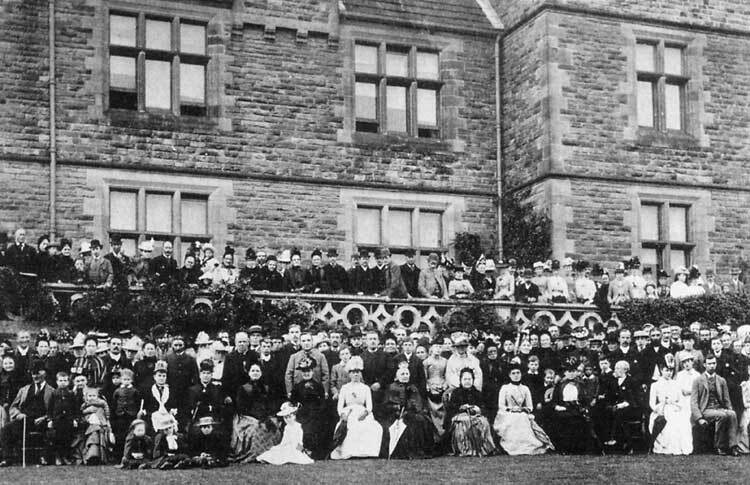 Each of them were financially independent, thanks to their brother, and they decided to have their own home built across the valley and facing Alderwasley Hall. 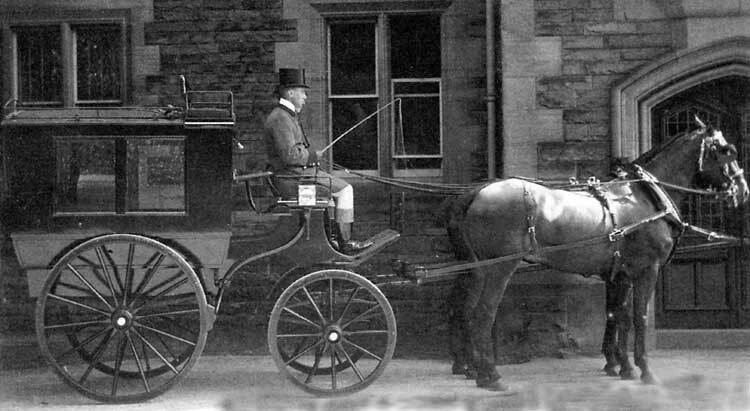 In 1859 they had Chase Cliffe built on the road between Whatstandwell and Crich. They were extremely kind and benevolent to the needy villagers of Crich and Crich Carr. It is recorded that they paid for petticoats and boots as well as allowing purchases against their own account at the village store. The log books of the Parochial School record frequent visits to the school by the sisters and spoke of their positive contribution to the school. Newspaper reports of the time also reported how they donated gifts and money to the various organisations in Crich. Although staunchly C of E they also donated to the nonconformist events that were happening in the village. Their thoughtfulness also extended to providing three stone seats, between Whatstandwell and Crich, so that the churchgoers could rest on their way to and from Crich Church. Sadly one of these seats has “disappeared” whilst another is hidden in bracken and weeds. The third is still in use, on Sandy Lane, with a wonderful view of the Church and Crich Stand. Emma was a generous benefactor to the community right up until her death. She provided money for the building of Fritchley National School, which was also a Church Mission, and in 1866 she bequeathed money for church improvements to St Michael (as St Mary’s was then known). She also left a legacy of £1000 to endow a community nurse for the parish. The newspapers gave her a fulsome obituary. The remains of Miss Elizabeth Hurt of Chase Cliffe, Crich, who died on the 10th inst., in her 81st year, were interred in the family vault. The officiating clergyman was the Rev. George Dury. The deceased lady was the third daughter of the late Francis Edward Hurt of Alderwasley Hall, one of the oldest families in Derbyshire. 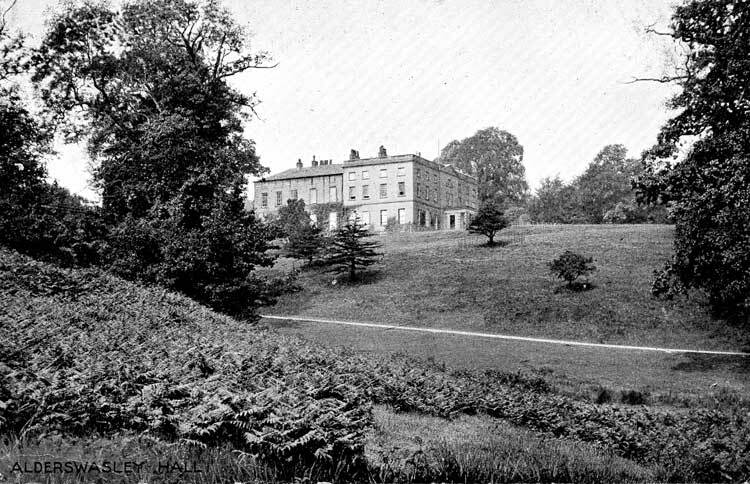 She resided with her sister, Miss Selina Hurt at Chase Cliffe, a charming house overlooking the valley of the Derwent between Ambergate and Whatstandwell. She was of a very philanthropic disposition, giving liberally to all deserving and charitable persons. It would be impossible to speak of her many noble deeds. Between 20 and 30 years since, the Misses Hurt thoroughly restored the ancient church of St. Michael, at Crich. The deceased lady had for some months been suffering from ill-health and had spent a portion of the summer at Filey in the hope of effecting an improvement, but after her return she gradually sank, and although not confined to her bed, she was not able to visit the poor and needful of her parish, as she had hitherto regularly done during her long lifetime. On Saturday the 8th inst. Miss Hurt superintended the giving away of flannel blankets. &c., at Chase Cliff to the needful people of the parish, but on the following Monday she was very ill, and she passed away at eleven o’clock in the evening. The principal trait in the character of the deceased lady was that of charity. The extent of her gifts to the poor of the district was scarcely realised by the outside world, for Miss Hurt spent her whole life in going about visiting the sick and poor and relieving their distress, and appeared only to live for the good of others. Her departure will be most keenly felt by the poor folk of Crich parish, and at the funeral indications of respect and sorrow were manifest on every hand. There was village tittle-tattle and rumour that the vicar of Crich, the Revd Acraman, was “interested” in one of the sisters and had to be warned off by the Hurt family. The evidence suggests that he did have “an eye for the ladies” but this was usually directed towards younger ladies than either of the Misses Hurt. In Derek Wain’s fascinating book “The Hurts of Derbyshire” he describes how Selina carried on the charitable work of her two elder sisters after their deaths but sadly was not worldly wise as to her finances. It seems she was systematically fleeced by some her servants and managers, so much so, that she became overdrawn at the bank. Her nephews and nieces had to rescue the situation and several sackings occurred!. It was these nephews and nieces that had the memorial window installed in Crich Church in memory of their aunts Emily, Elizabeth and Selina Hurt.